A vasectomy is an effective and safe method to permanently control conception of a child. It is done by men who no longer want to have kids or currently have medical conditions that may need the procedure. It is a low risk procedure and is more affordable than female ligation. A vasectomy in care homes is usually done to provide convenience. It allows the patient to recover faster with the help of healthcare professionals who will do the after-care procedures. When it comes to a vasectomy, we at the Care Shop have the right tools to make sure that the procedure is done accurately and safely. 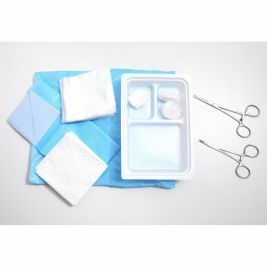 We provide all necessary equipment for this procedure in our non scalpel vasectomy pack. All of our equipment is made from high-quality material but can be purchased at affordable prices. We also have a hyfrecator footswitch conversion kit and Li-Brand NSV Set. Of course, we need to ensure a safe procedure so we also offer an NSB training video and NSV patient training. All of these training videos are in DVD copy so that they can be watched even in the comfort of a professional’s home. Vasectomy There is 1 product.